The city of Venice is built around water and buildings suffer from the high humidity. Walls in Venice grew black from mold and mildew. Over the years, Venetians developed a solution to battle the high humidity.- Stucco Veneziano, also known as Venetian Plaster. It resists mold and mildew and is the healthiest finish available for tropical climates. 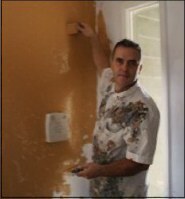 Venetian Plaster is not a faux finish, it is a technique which requires specific materials, tools and skill. 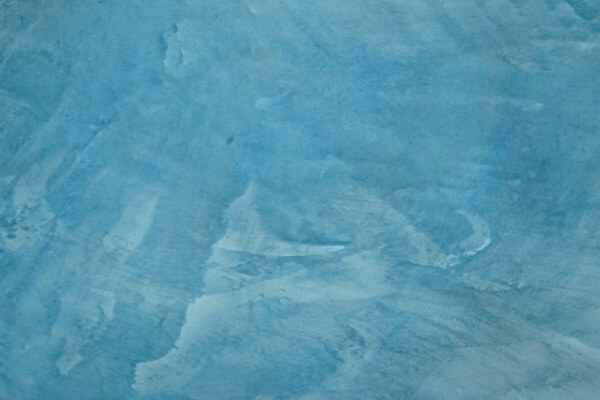 Venetian plaster is a smooth two-toned finish hand applied in multiple layers to give a depth and sheen that creates timeless charm and elegance in your décor. Demolli Art Studio has developed refined techniques with specialized trowels to create a wide variety of natural stone and polished marble effects. 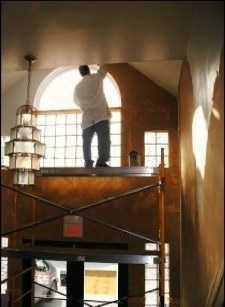 Jesse Demolli learned the art of plaster application helping his father. 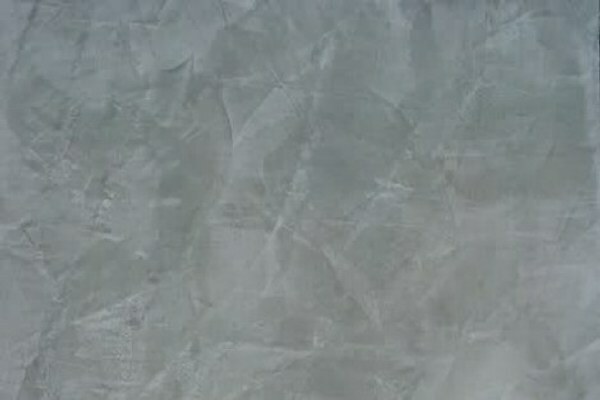 Venetian plaster is not only a classic finish for your walls, it is the healthiest paint and resists mold and mildew. Give your walls depth of color and the elegant shine of marble with the smooth finish of Venetian plaster. 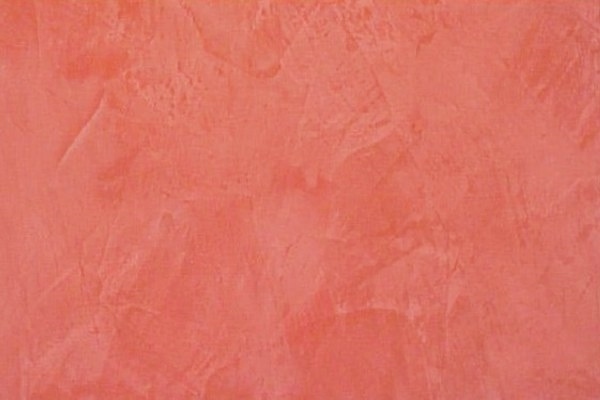 Today, Venetian Plaster is available in many decorative colors and still offers the elegant shine of marble. You can live like the Venetian Merchants! Venetian Plaster is an Old World technique using a fine slaked lime mixed with marble dust and pigments. The best lime comes from Northern Italy, near Venice, and it is soaked in water and left to age. The result is a limed water called ‘grassello di calce’ or slaked lime. The artist applies this plaster in multiple layers with a specially shaped steel trowel. The layers are built up with steady pressure and the end result is a stone finish that when burnished, shines like marble. 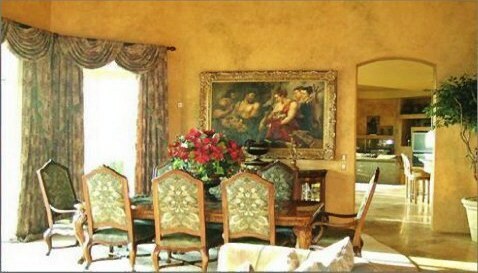 Venetian Plaster will transform an ordinary wall into an artistic masterpiece.